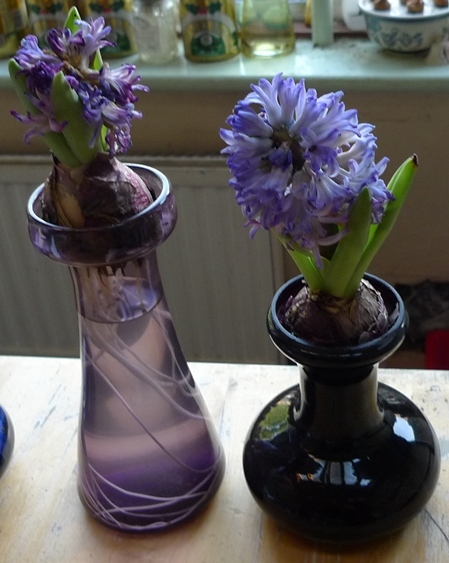 My fears about attempting to force muscari in vases have been realized. 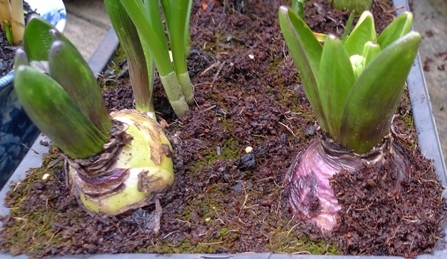 They have ample roots and extensive growth and it's only October! 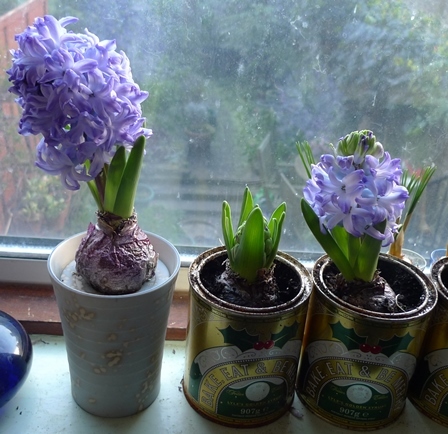 What to do with them? 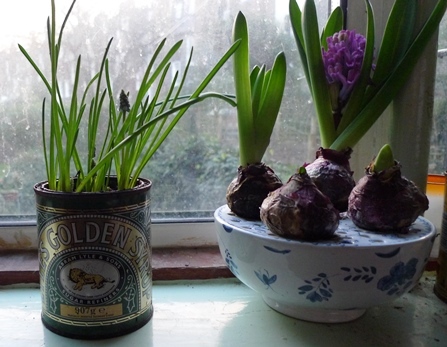 It's early to bring them out of the cellar but how long can leaves survive in the dark? The box says bring them out when 4 cm tall. 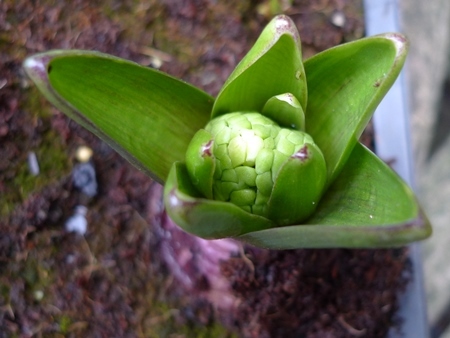 This is about 10 cm tall. My instinct is to bring plants with such extensive "green" (would be green if there was sunlight) growth into the light. 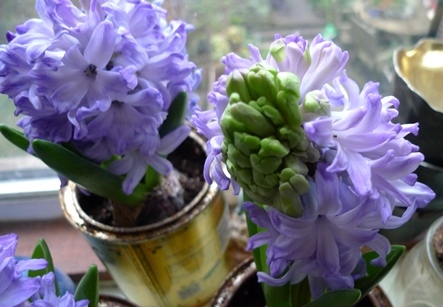 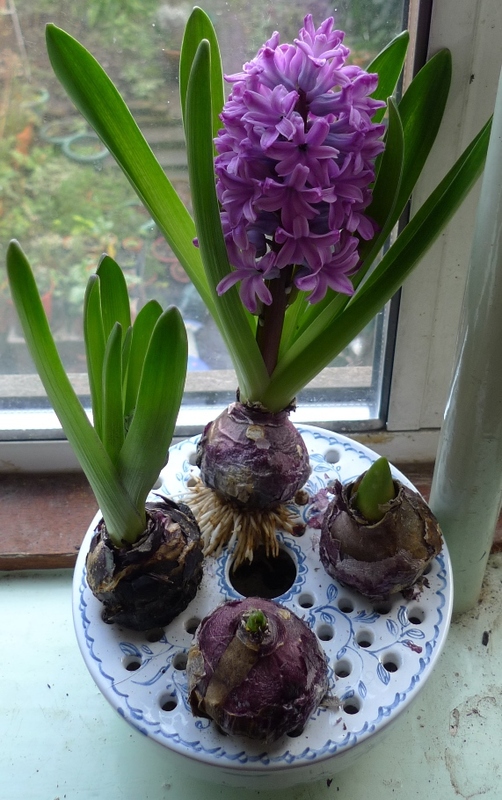 Mid-October, I put my last hyacinth bulb in the latest hyacinth vase I purchased on ebay (as if I didn't have enough already). 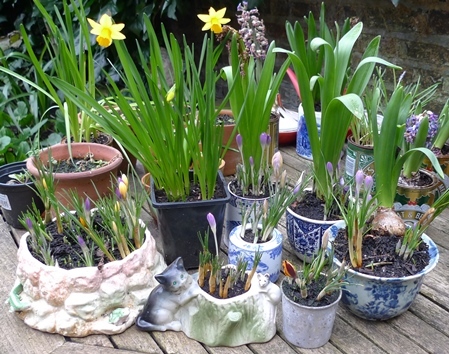 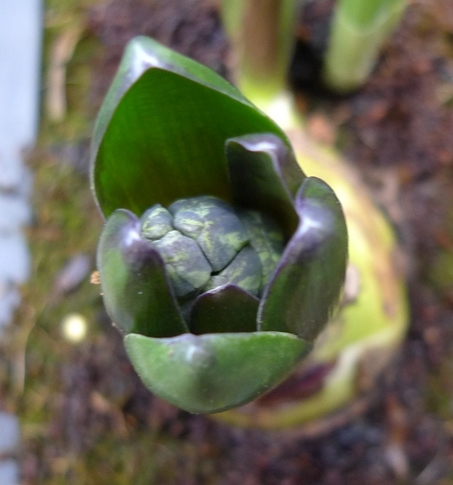 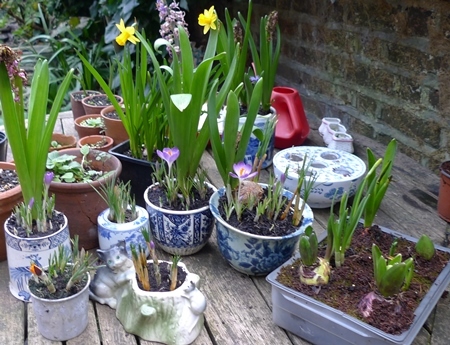 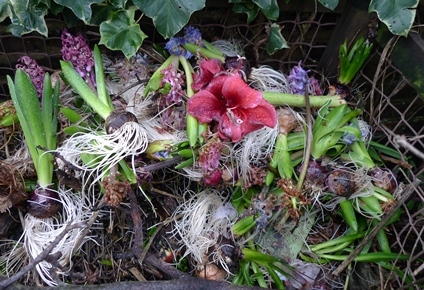 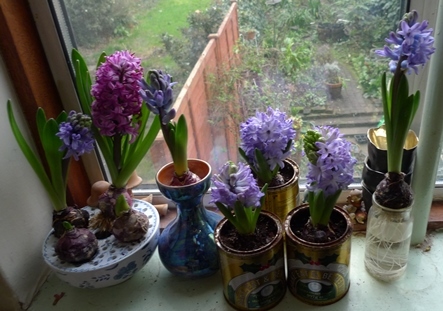 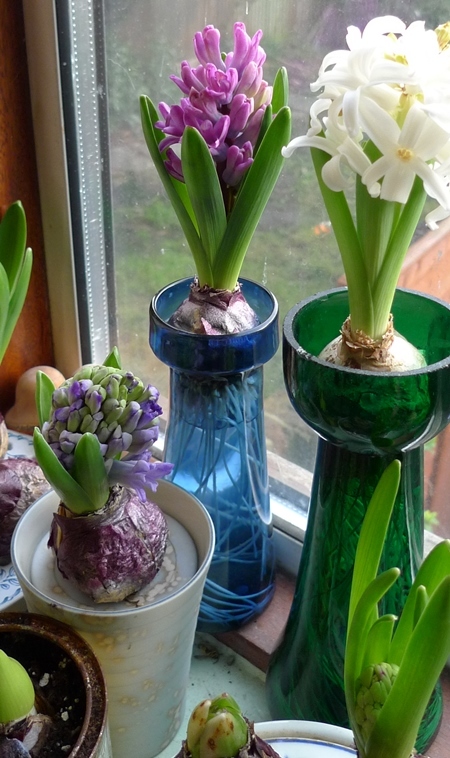 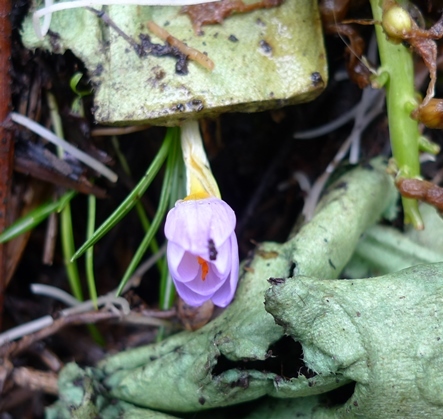 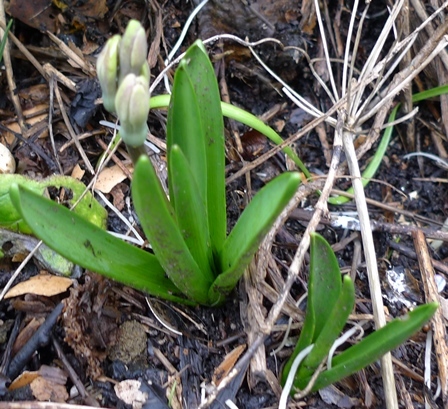 My husband thinks the cellar is too full of bulbs - it was his mum who inspired my interest! 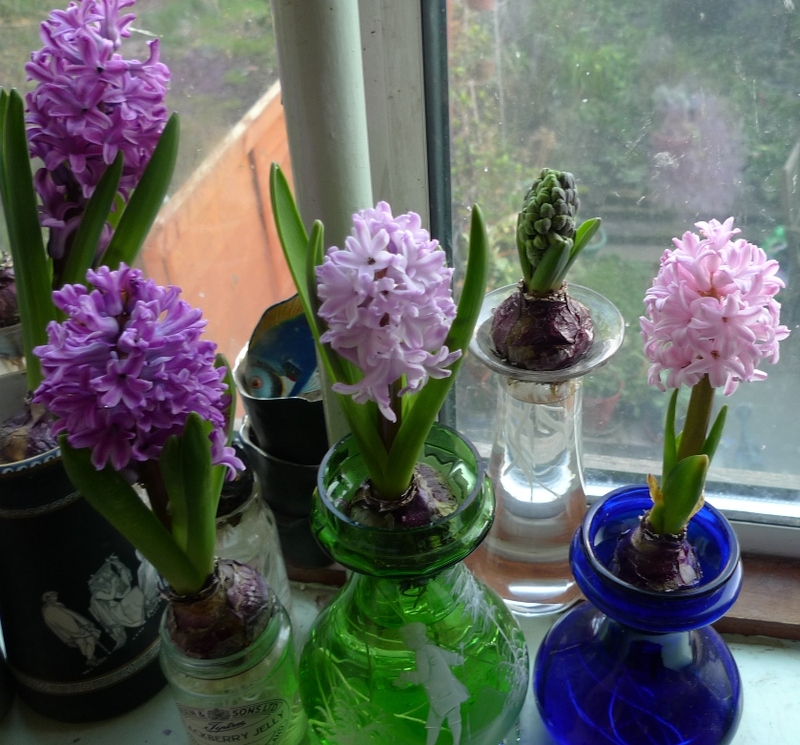 I'd never seen a hyacinth vase in the US until I came to the UK and saw hers. 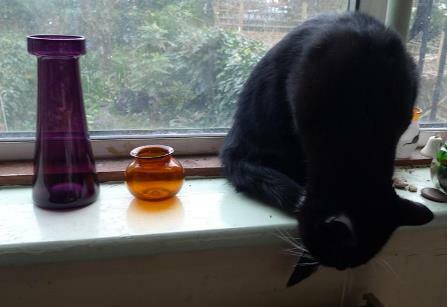 I'm afraid I still can't resist an impulse buy on ebay if it's a really great vase. 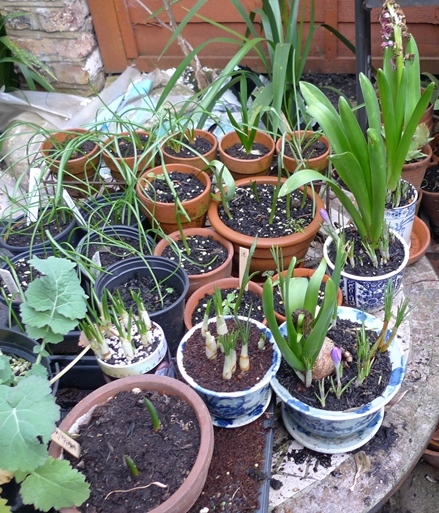 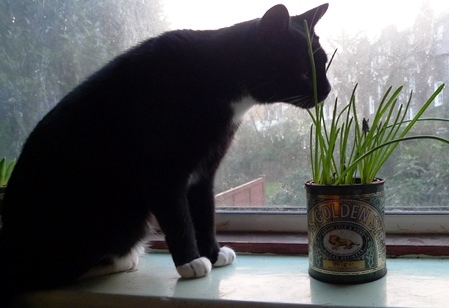 One of my least favourite tasks of bulb forcing must be done today - watering any pots in the cellar. I think the vases do pretty well left alone, the bulb acts like a plug and prevents the water evaporating but the pots with compost dry out and the bulb bowls allow water evaporation so they need watering/topping up.